A wonderful 19th century Swedish demilune extending dining table with elegantly curved Rococo legs. 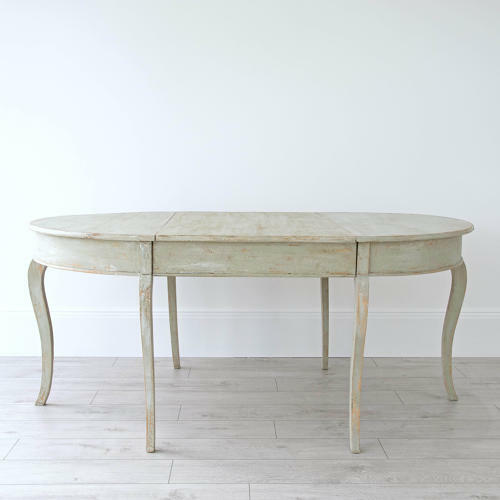 This is both a beautiful and practical piece of antique furniture that can be used in a number of ways; as a pair of demilune console tables, as a round breakfast table seating four, or as a small extension table seating six people. Circa 1840.